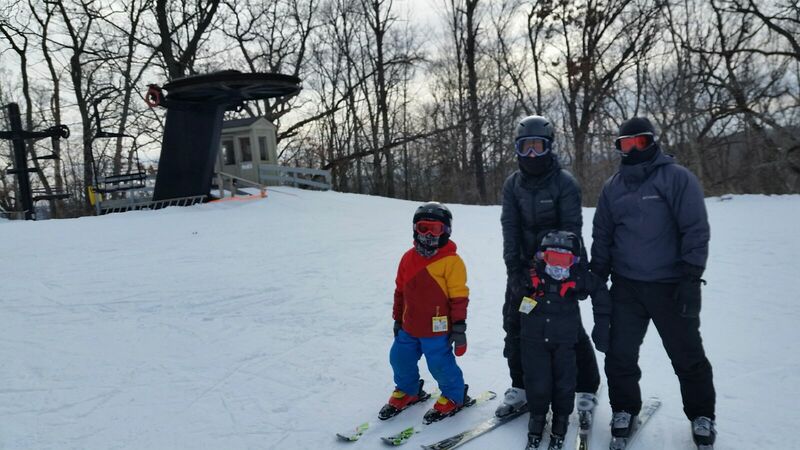 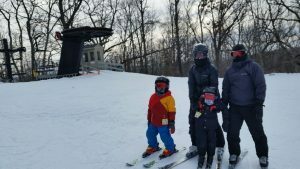 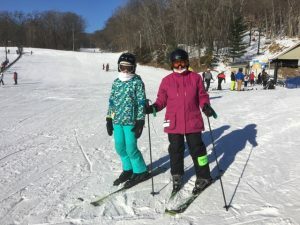 Snowseekers Ski and Snowboard Club began as the Waukegan Snow Birds club in 1961, then evolving to the Waukegan Ski Club in 1964, and finally settling on Snowseekers Ski Club in 1982. 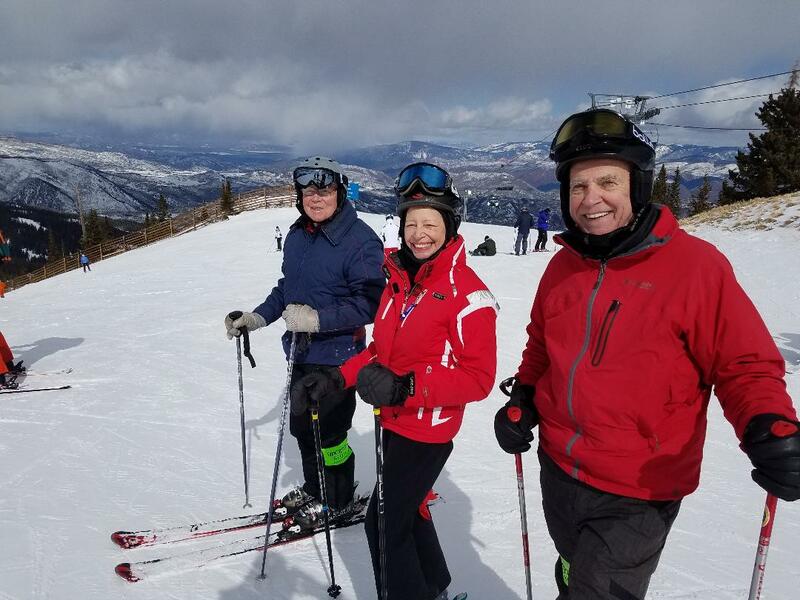 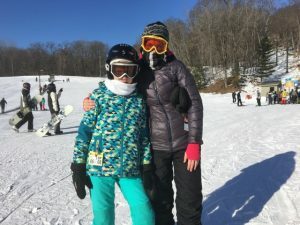 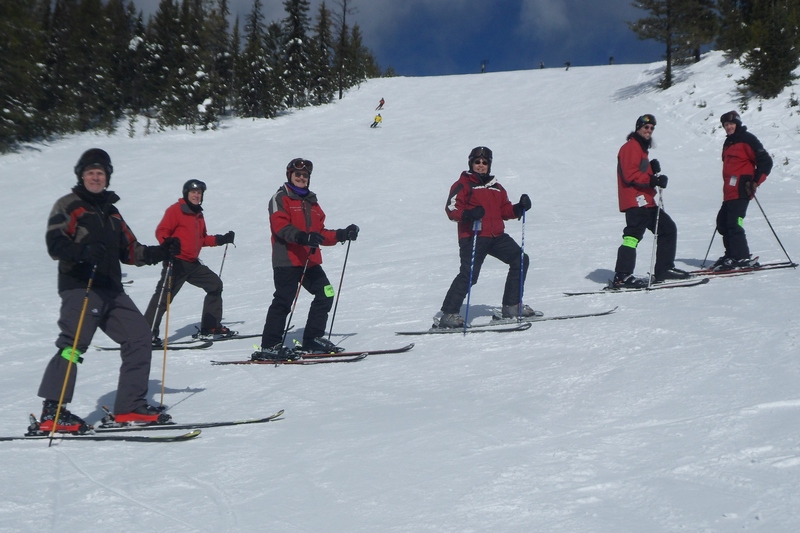 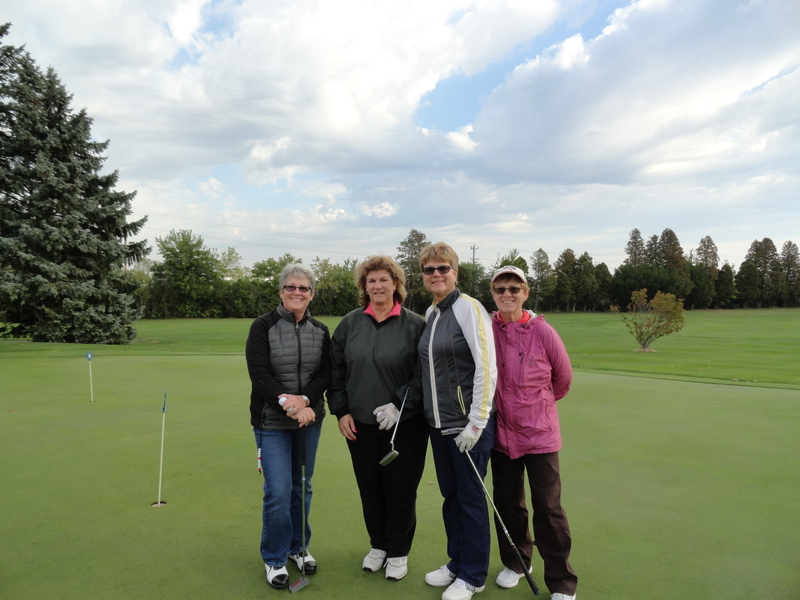 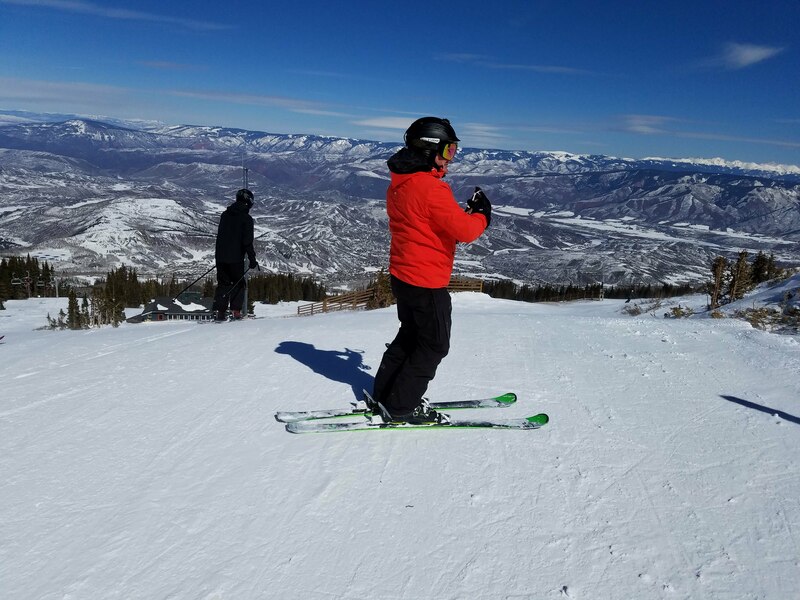 In addition to skiing and snowboarding, the Snowseekers club participates in other activities including: public service, biking, golf, sightseeing and parties. 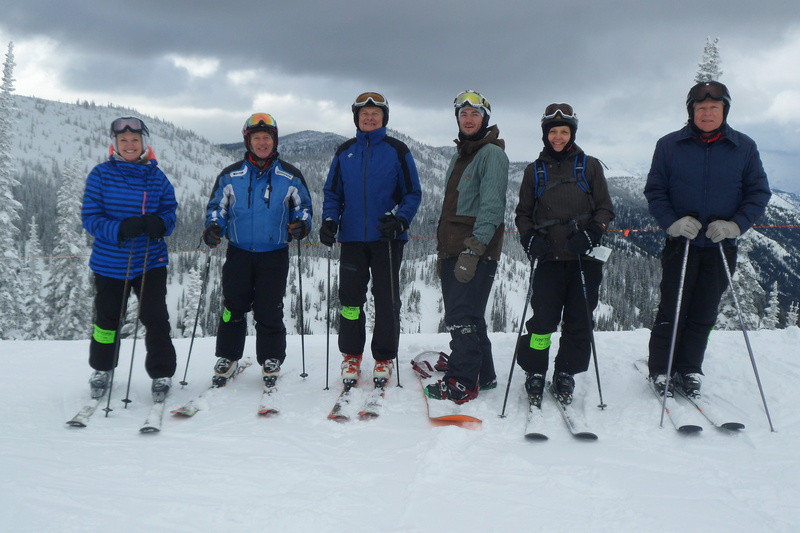 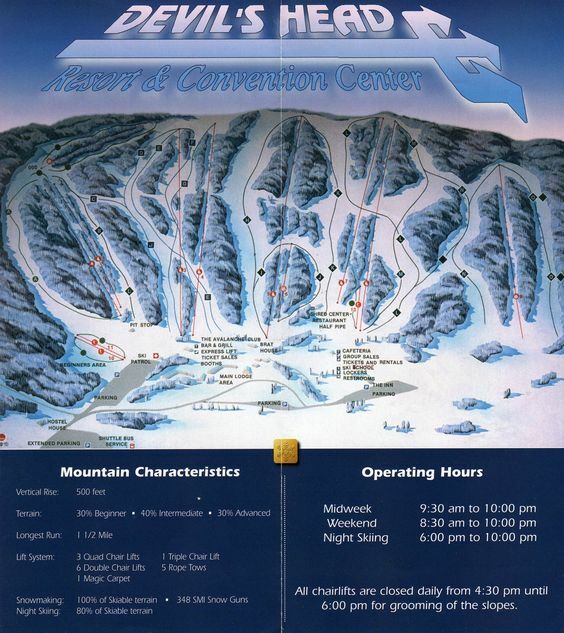 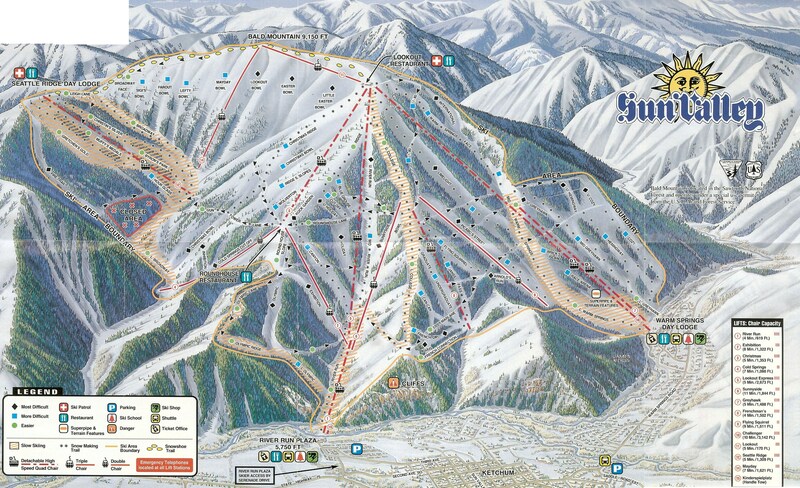 We sponsor local and mountain ski trips. 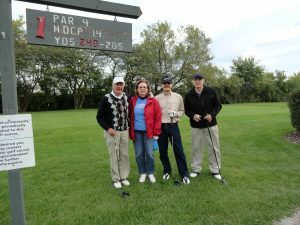 Singles, couples, and families of all ages and abilities from around the country are welcome. 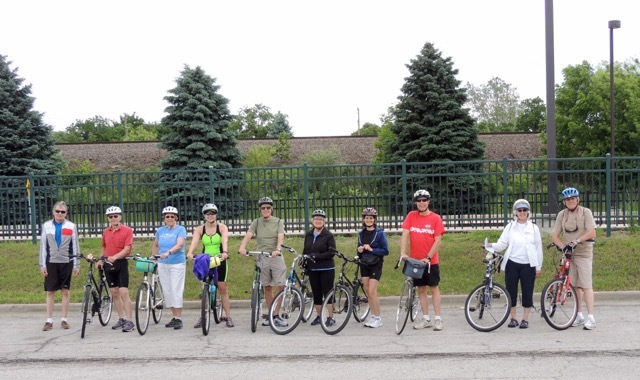 We typically meet at 6:30 free pizza dinner with cash bar and meeting begins at 7pm on the second Tuesday of the month at O’Tooles in Libertyville with exceptions noted in our newsletter. March 2-9, 2019 – Please see the trips page for pictures. 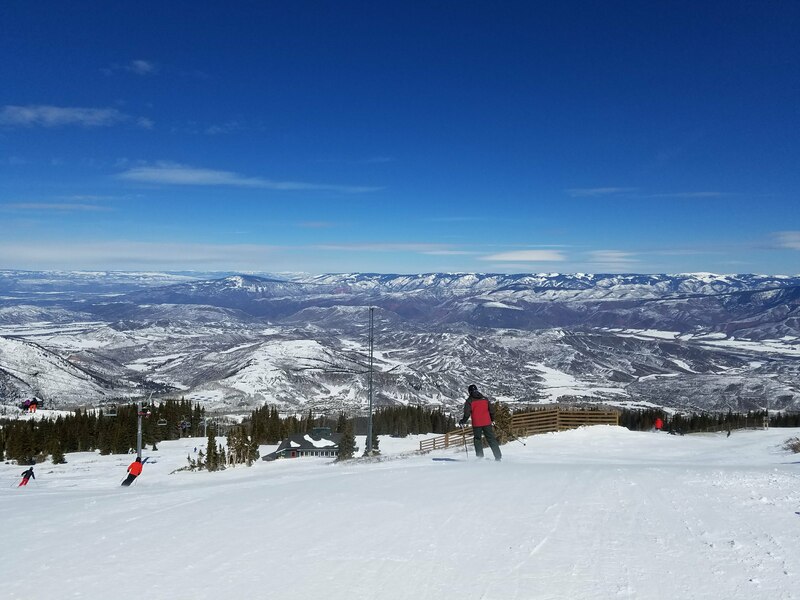 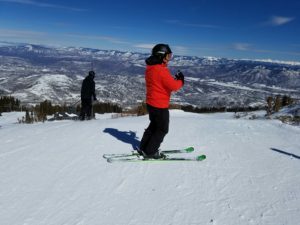 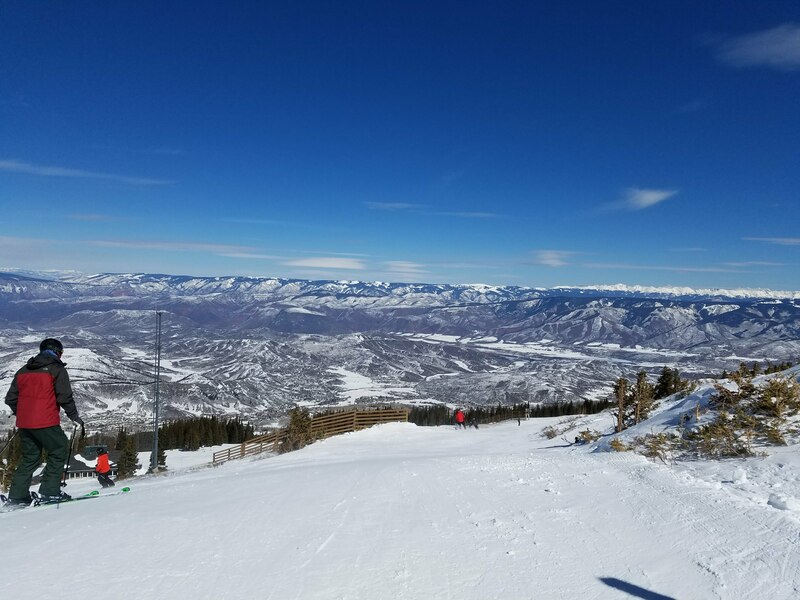 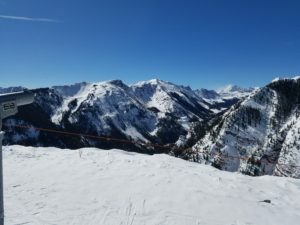 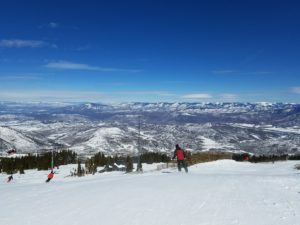 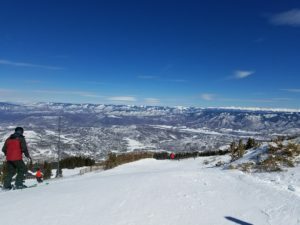 Some pictures from our Snowmass 2018 trip, beautiful place! 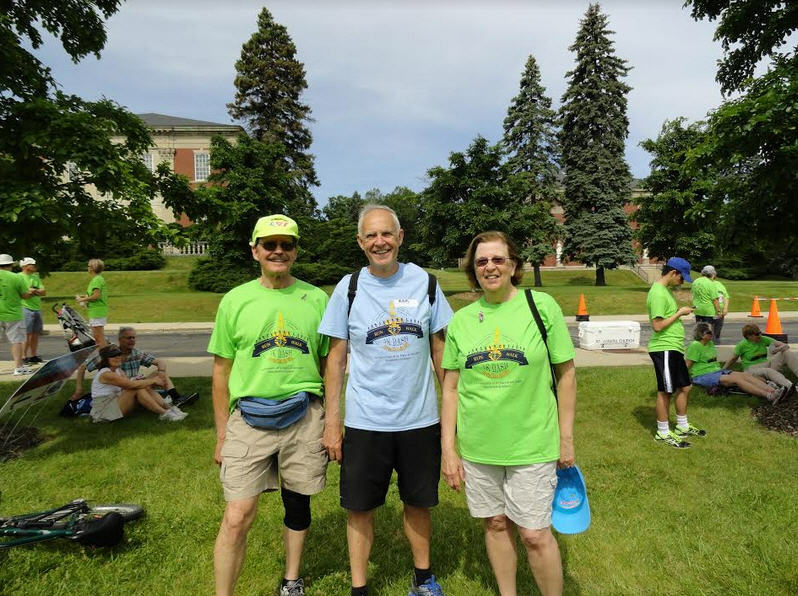 Three snowseekers Al, Jan, and Ron attended Dash around the Lake on a beautiful day for a great cause. 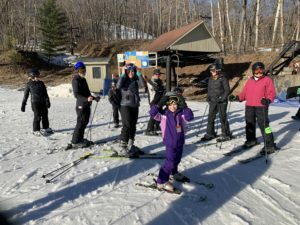 Em worked the water table. 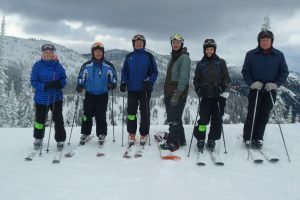 The blue team and the red team skiing Whitefish, Montana in the snow and clouds. Great start to a day of golf with good friends and ended with wind and rain which we endured. 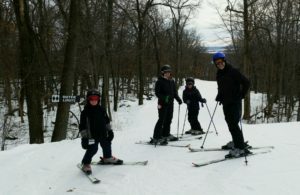 Five Snowseekers ventured to Ryerson Woods Forest Preserve for a beautiful afternoon walk and lunch. 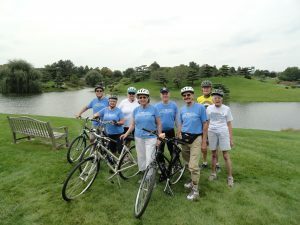 A beautiful bike outing at the Skokie Lagoon into the Botanical Gardens to enjoy lunch and the flowers. 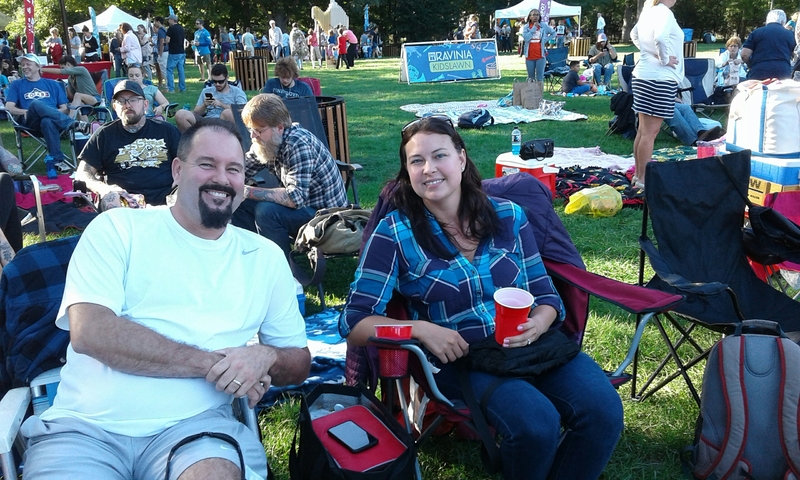 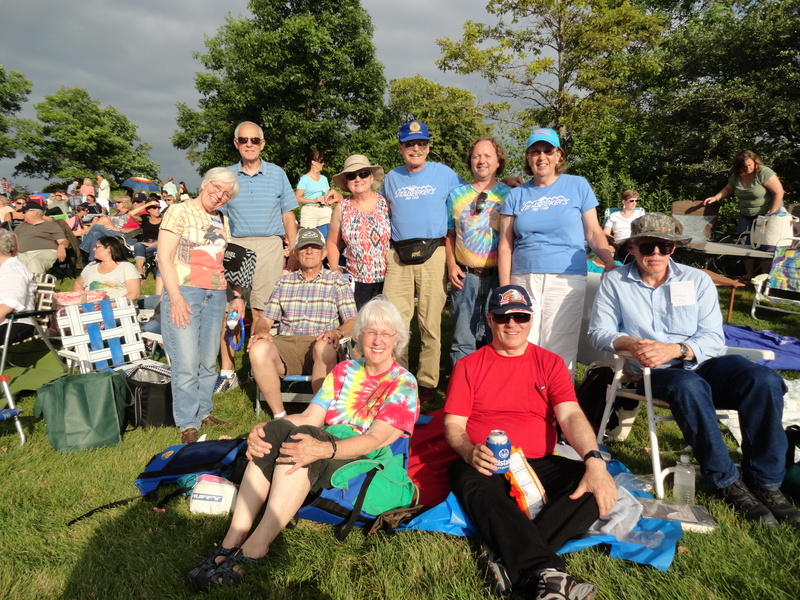 Snowseekers enjoyed an evening at Ravinia watching Looney Tunes Cartoons backed by the Milwaukee Symphony Orchestra. A great evening with good friends. 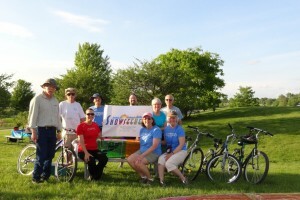 Snowseekers bike outing in Aurora on the Prairie Path trail Sunday, June 5th. 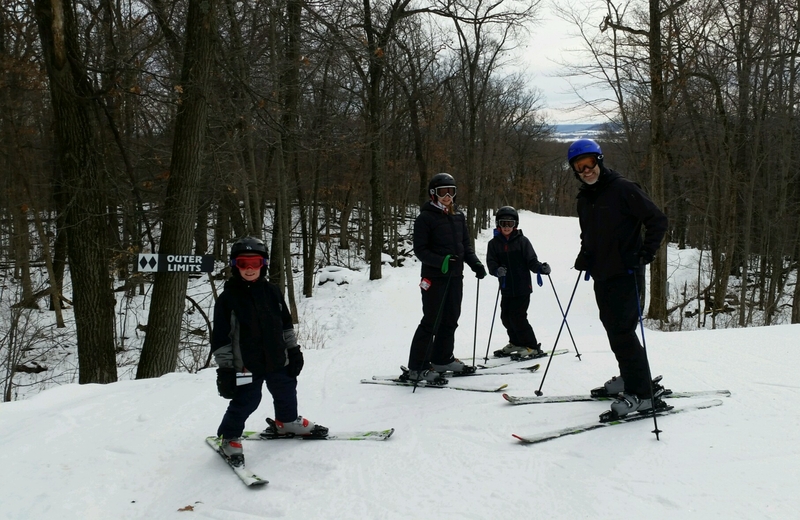 A 9 mile journey from Two Brothers restaurant to Two Brothers Tap House for lunch. 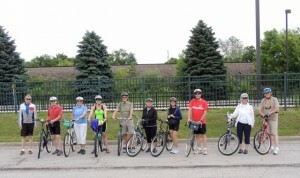 Then a 9 mile ride back to our cars with very warm weather and a strong headwind. Beautiful day for the outing and great friends. 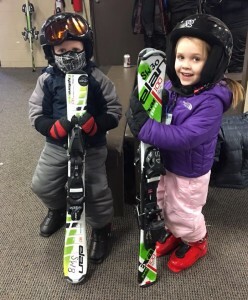 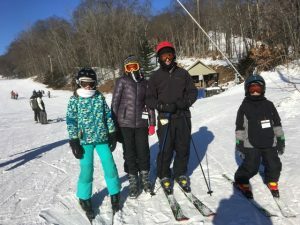 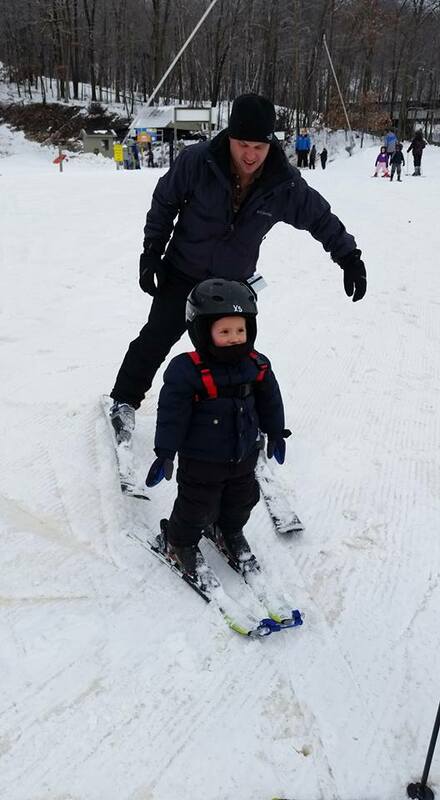 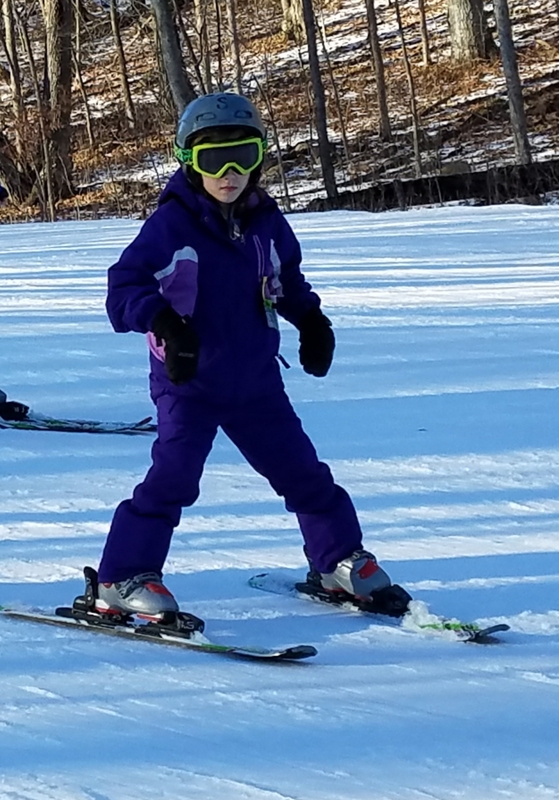 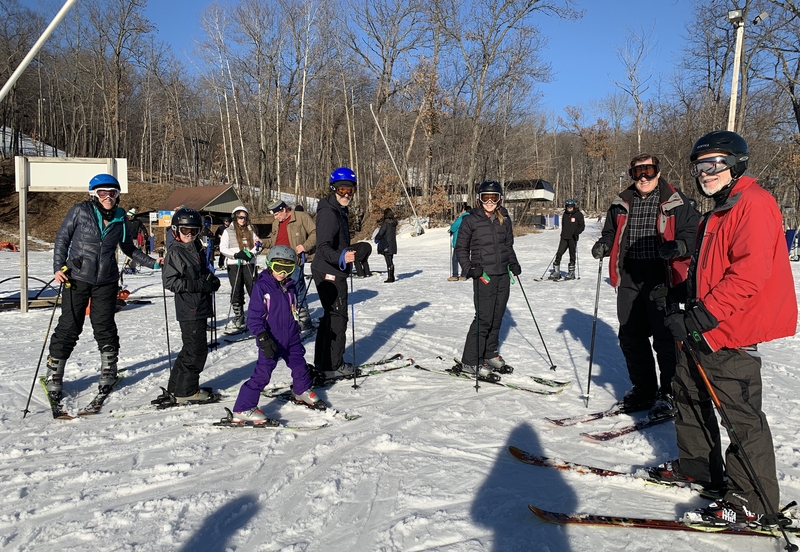 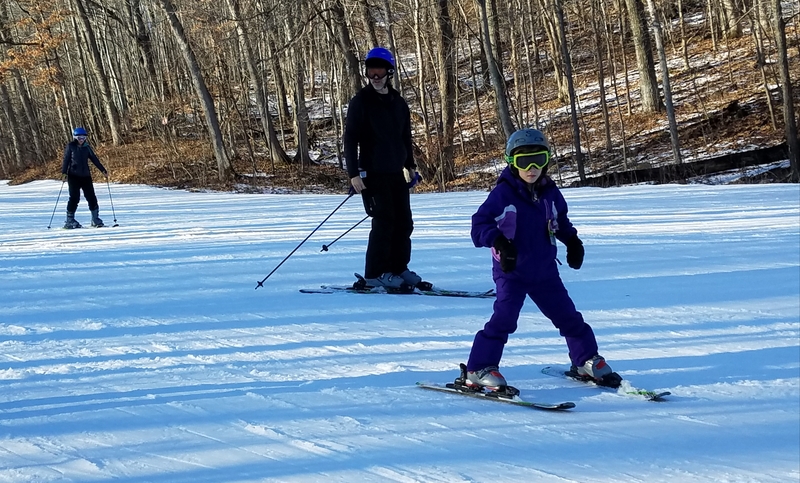 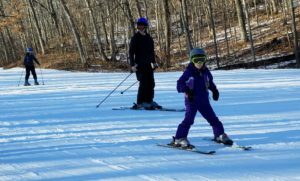 The future of our club with the youngest participants renting and learning to ski. Five Snowseekers spent three hours Saturday morning at the Rollins Savannah collecting seeds for the nursery. 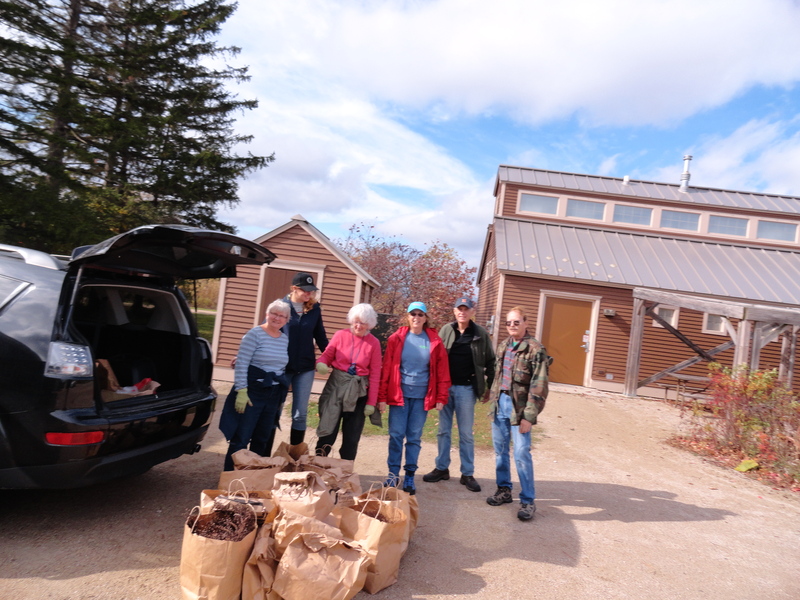 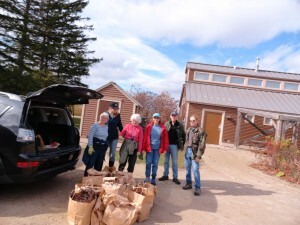 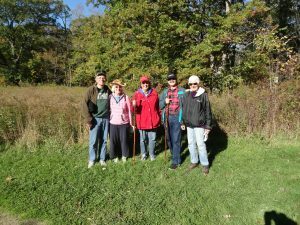 We managed to fill about 20 grocery bags along with the two Forest Preserve volunteers directing us for proper collection. Beautiful day at Norge Ski Hill for the CSMC picnic and ski jumping demonstration by Norge participants age 6-38. 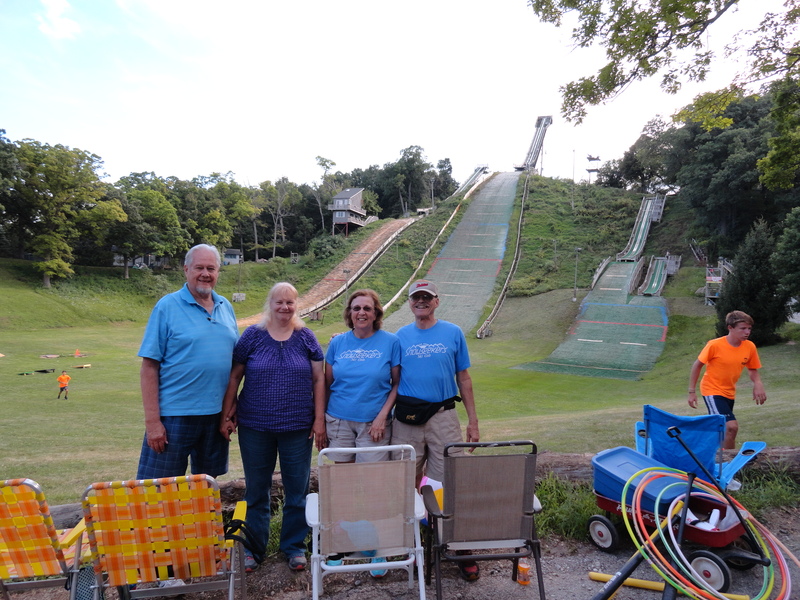 Great food, plenty of games, and fearless jumping made for a great afternoon. 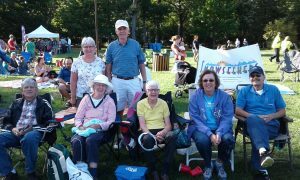 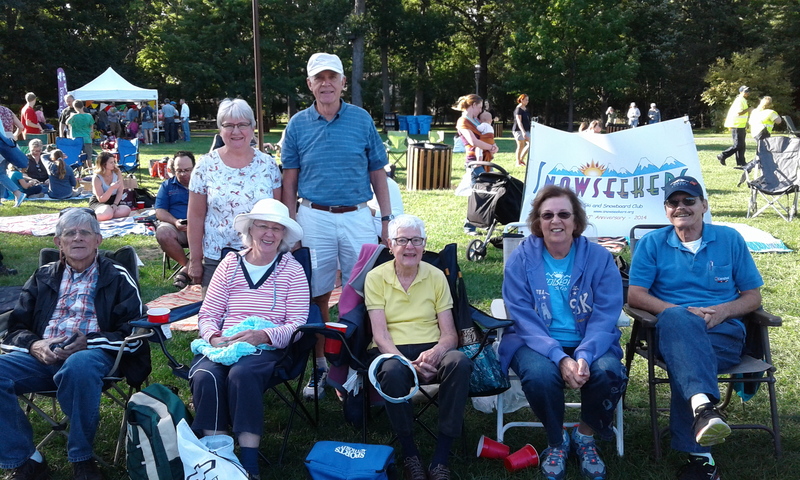 Delightful evening of lively music, beautiful weather, and great friends as the Snowseekers heard the “Cavern Beat” Beatles group at Independence Grove on Tuesday July 14th. 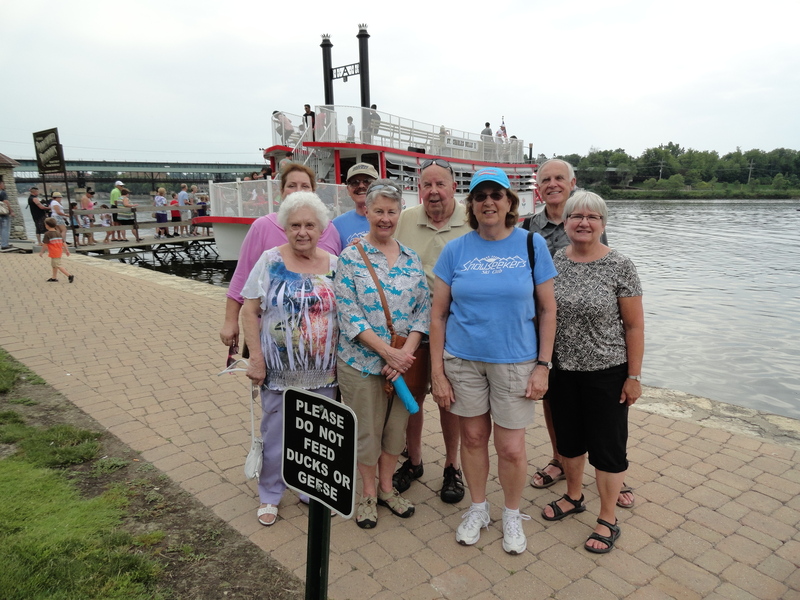 Nice cloudy day to keep the heat down as the Snowseekers rode the St. Charles River boat on Sunday, July 26th. Quiet scenic ride on a beautiful river with a delicious dinner afterwards. 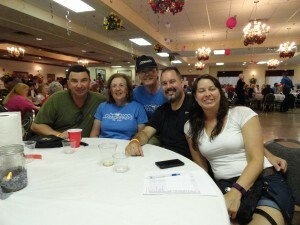 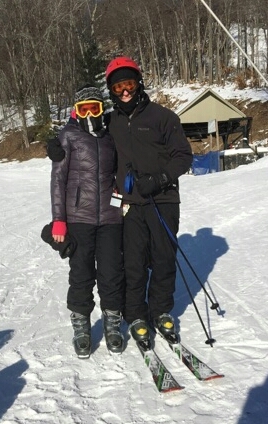 Five Snowseekers attended the American Blind Skiers Foundation Pig Roast on Saturday. Al, Jan, John, Kathryn, and Mike enjoyed raffles, silent auction, a delicious meal, and a delightful Polka Band to benefit the blind skiers.